Besides helping users to locate groceries like avocados, coffee and eggs, the system can also be used to send promotional offers to shoppers, which are relevant to their location in the store. 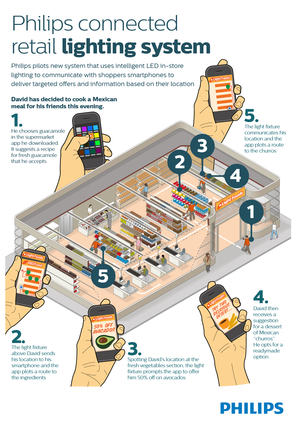 Targeted information and discount coupons can be displayed on phones at a precise position in the store “when shoppers need it most and are most receptive,” Philips said. The system uses lighting fixtures that form a dense network that acts as a positioning grid, Philips said, adding that each fixture is identifiable and able to communicate its position to an app on a shopper’s smart device. 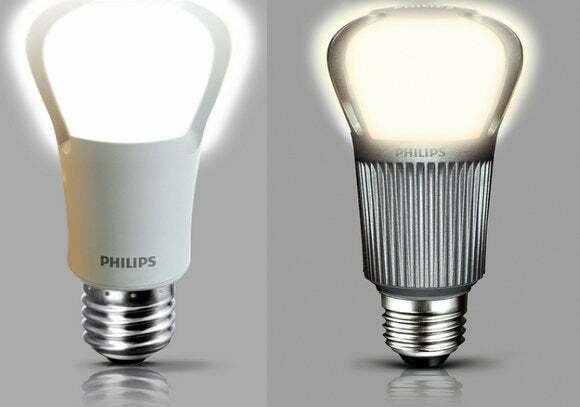 By integrating location services in the lighting system, retailers who want to offer location based services don’t have to invest in additional infrastructure, Philips said. Ballparks in the U.S. for instance have opted for Apple’s iBeacon technology that extends location-based services on iOS devices indoors. iBeacon can be used to monitor locations of customers using Bluetooth.